Simplifying your life begins with a phone call to our office at (866) 637-3603 or click on the “Schedule Appointment” button below and send us a consultation request. We offer convenient times, including evening and weekends, to set up a complimentary in-home consultation. 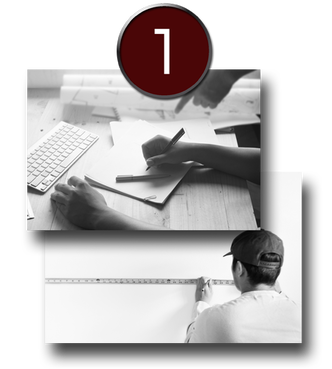 One of our professional designers in the Chicagoland area will come to your home measure your space, identify your current organizational needs and develop a custom design that maximizes your space and fits within your budget. We can transform any cluttered or empty space into a showcase piece including closets, offices, garages, pantries, laundry rooms, hobby rooms and much more. Have a question? We are here to make you comfortable so please do not hesitate to ask! 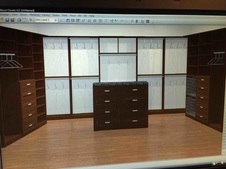 We invest a lot of time and thought into understanding your custom closet and organizational needs and wants. Together we will design the best home storage solution for you. All About Closets custom manufactures products in our local manufacturing facility. 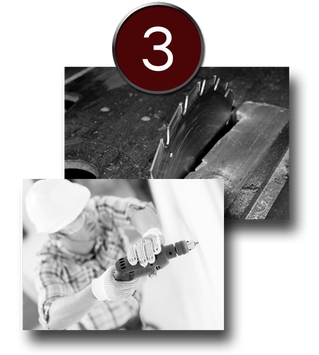 This allows us to provide you with a high quality custom built system in a timely manner. 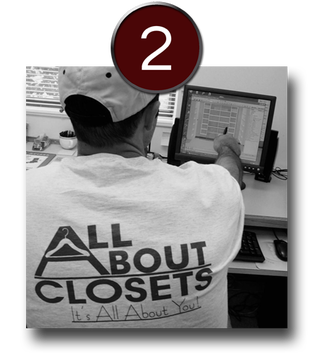 The installation team is an integral part of the All About Closets family Each member of the installation team is passionate about their work and strives to provide you with an excellent customer experience that includes on-time delivery, professional installation and clean-up. A new system is exciting and can offer a better way to organize and simplify your life. At All About Closets, we want you to make the most of your new space, so we have partnered with several professional organizers and other preferred partners to assist you. After installation we will provide you with a list of resources for your use.